So you’ve got an amazing ministry going and you’d like to get people involved. What if there were a way for hundreds, even thousands of people to witness and even participate in that ministry? Well, luckily for you, there is. Social media has worked its way into nearly every aspect of our lives. We’ve seen it evolve over the last decade from digital content in the form of blogs, to making connections and sharing our experiences, to expressing ourselves in 140 characters phrases, and sharing pictures or videos about our lives. The natural next step is to connect with others through sharing live video. While this technology has been around for a few years, I believe it is just in its infancy. Relatively few people are providing content in this way, yet every major social media outlet is rearranging its features to put the spotlight on live video. There is no better way to tell your story than through live interaction, particularly when telling a story about a ministry. Would you rather read an article about a ministry or witness the impact first-hand? You don’t have to worry about lack of experience or fancy software to create quality video. In fact, the current trends seem to be moving away from slick presentations toward raw footage. ● We can’t be everywhere. It is hard to be in all the places, all the time. Some people who would like to be there just can’t make it. This is a great way to keep them engaged and enthusiastic about what you are doing. They are also able to share that experience in their networks, which helps spread the word about what you doing! ● It provides a safe way for people to get a taste of what you are doing. Right or wrong, there is very little that we buy into without first researching it on the Internet. From clothes, to cars, to churches, we expect to be able to search it out ahead of time. Being transparent and inviting people to participate in your ministry is something that you should be doing. Prep work: Assuming that you have reviewed and followed any relevant media policies, you can simply open up the social media app and find the appropriate tools. There are a lot of different social media formats that you can use to go live, but the most commonly used is Facebook. Youtube is chock full of great how-to videos on this subject, so check out some of them for details. It’s a good idea to test it on something small, perhaps on your personal account, first. You will get the hang of it rather quickly. I have faith in you. Start with something small and reliable: Is there something that your ministry is known for? What does your audience have the most energy around? Montreat Youth Conferences are known for the great energizers each year. We often play short segments of live video during the energizers and we get some great engagement. It helps our audience connect to something that they hold dear and as they often share that video, exposing others to it. You’ll want to test it so that you can get a good idea of the sweet spot in terms of video length and type of activity that best engages your audience. Don’t forget to encourage people to share the video! Live video is not a substitute for real life participation, but it quite possibly might be the “next best thing.” In the last twenty-four hours, I’ve seen live videos posted about people’s dogs, a concert, and their children’s theater performance. I’d love to see more live videos of church life. So if you haven’t given it a try yet, I recommend it. I look forward to experiencing life with you, even if it is through social media. 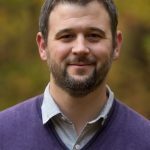 Tanner Pickett is Vice President for Sales, Marketing and Communications at Montreat Conference Center.